DVD purchased circa. 2005 (Click to enlarge). 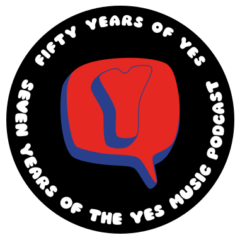 The ninety-sixth episode of the Yes Music Podcast, featuring highlights from the 2005 DVD, Songs from Tsongas – Yes 35th Anniversary Concert. Is this the classic line-up of the band? What are those illuminated globes hovering into view next to Alan White?